We live in a modest home of about 1,700.. a normal 3 bed 2 bath kinda home.. 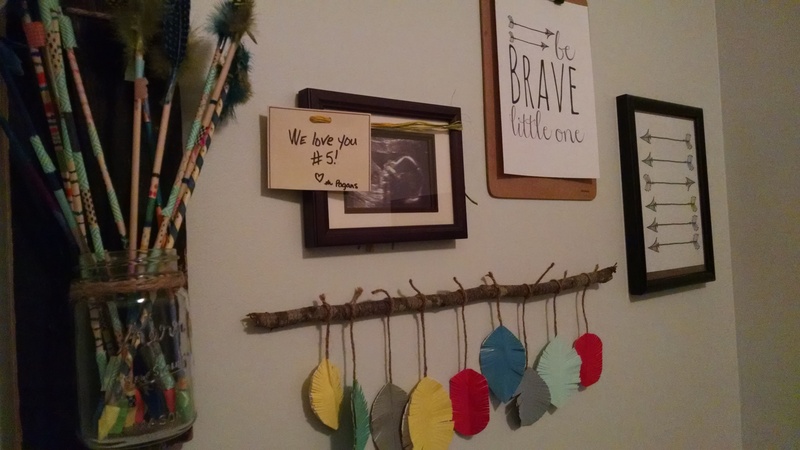 When we found out we were being blessed with a #5.. we had to put on our thinking caps to figure out will little one will reside … We have the older two (boys) sharing a room and the younger two (girls) sharing.. and the girls room is full… 2 beds and a dresser and toys..(we have no play room). 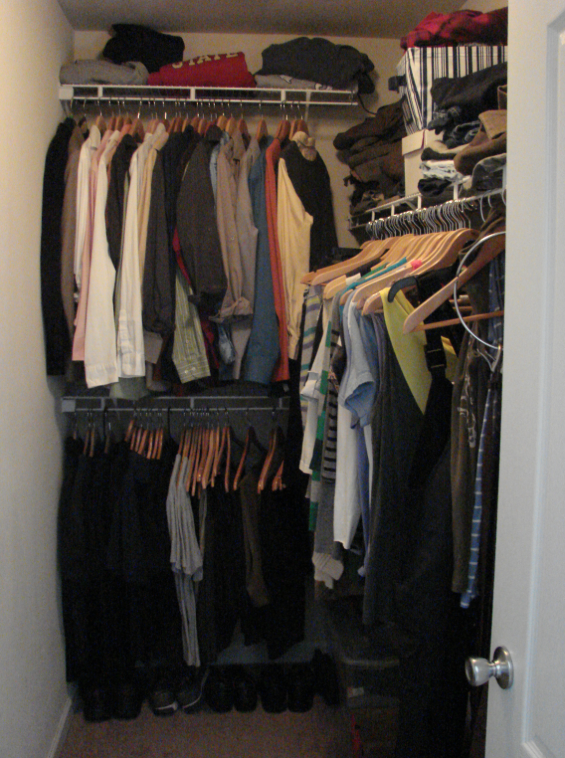 I wanted to transform this space…. The nook is 4.5 ft wide by 8.5 ft long. Windowless, but has a vent to keep it the same tempiture as the rest of the house. 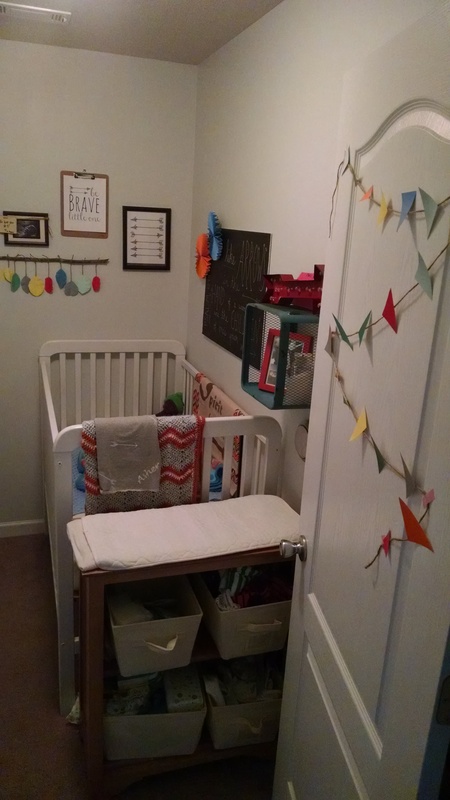 We had a few stumbling blocks with arranging decor..the crib was 1/5 inch to long to go along the back of the room, thus no dresser would fit.. but in the end I love it! First up.. painting the yellowish builder grade paint to a creamy grey… bright and cheery and clean looking! 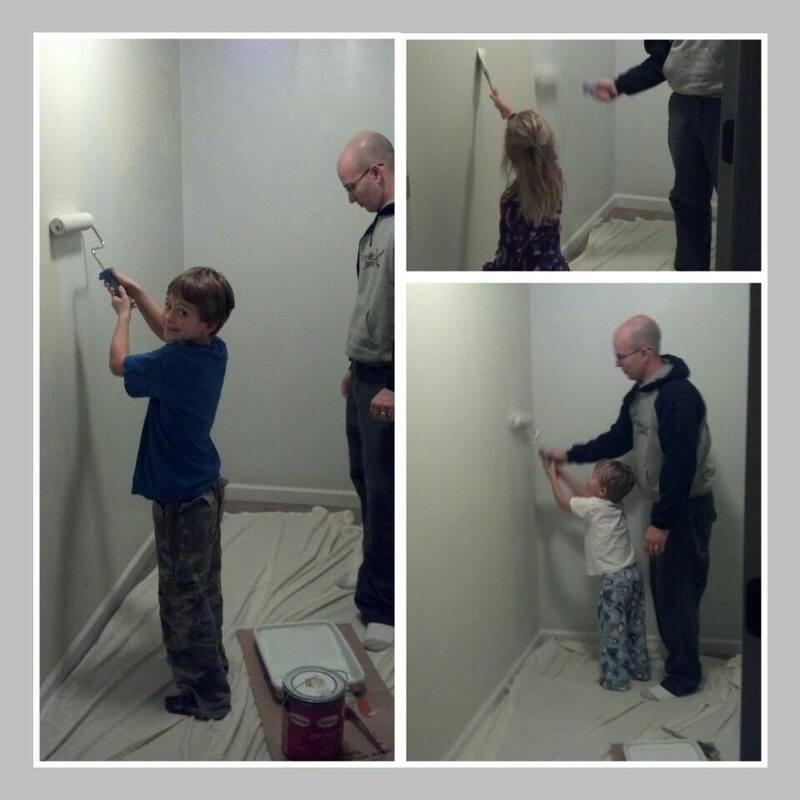 AND you know the siblings had to get in on the action of painting.. and daddy was a good sport and walked it though it! 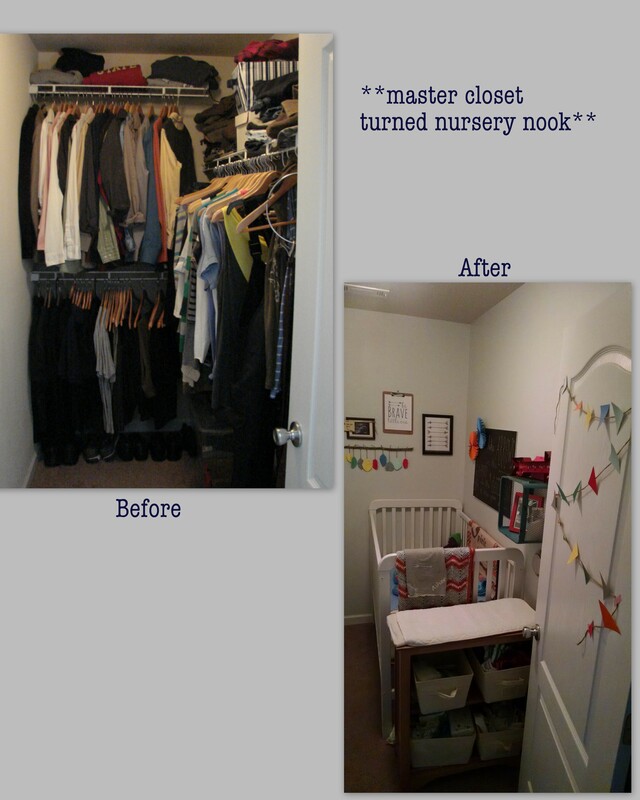 So with no further a due… her is out sweet # 5’s little nook… A walk in closet turned nursery! Although Small, A large impact..right!??! 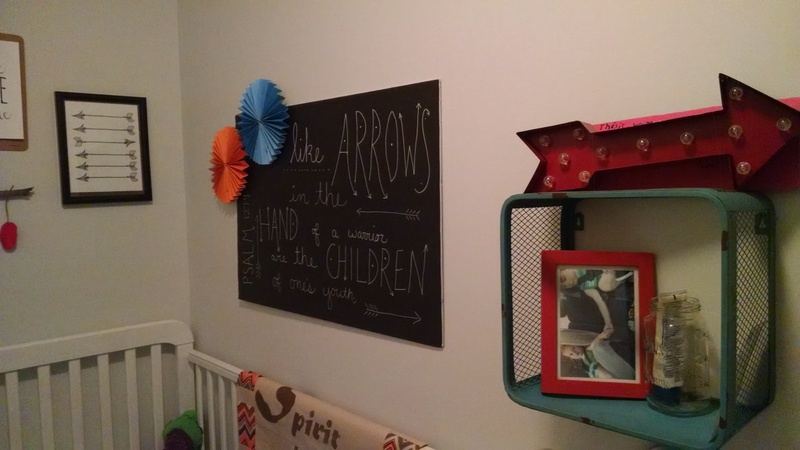 As you can see I continue with the theme from through out the pregnancy .. ARROW:) 90% of what i used came from my shower… and i love how it ties in! 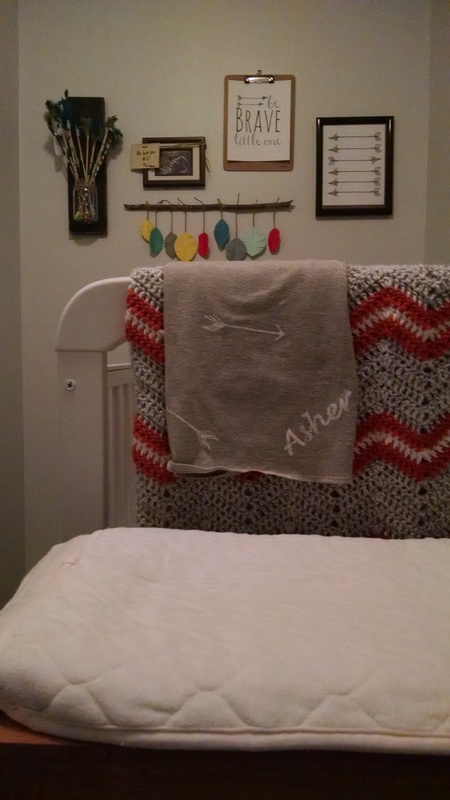 The super cute arrow/named stamped blanket was purchased off etsy.. super great company!! https://www.etsy.com/shop/Katandstiina?page=1 click that sentence for a direct link! 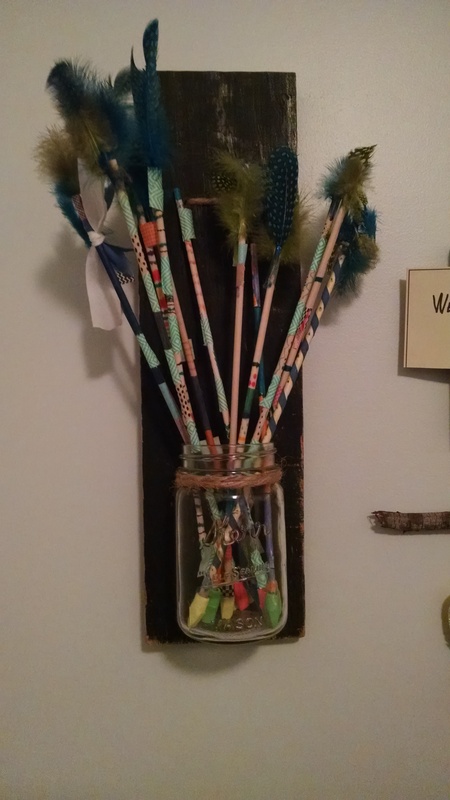 One of my favorite decor pieces.. this is all the arrows made at my baby shower... by all my dearest friends!! I saw on pinterest a similar concept with flowers, showed Joel and boom! He came in the house with this beauty! love it!! !